One of the many facilities Racing And Sports provides for all users is the ability to access "audio" content. Because of our significant domestic and international presence at the race track and of it, not only are we delivering extensive racing information and technology along with form content, you can avail yourself of a substantial amount of interviews conducted by the Racing And Sports team. They include discussions with Jockeys, Trainers and Owners through the week, Post-Race interviews, Press conferences at major meetings and also Race Day Previews from our racing staff. All these emanate from racing right around the world. 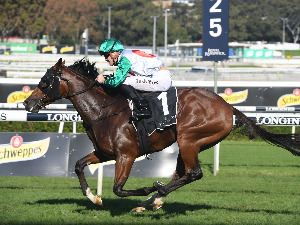 Unbeaten two-year-old colt Super Seth will chase a first stakes win in the Listed Anzac Day Stakes at Flemington with jockey Clayton Douglas to retain the ride. 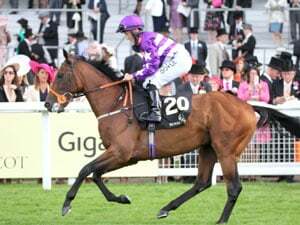 Ten Sovereigns is the new favourite for the 2000 Guineas at Newmarket following the news Too Darn Hot has been ruled out of the colts' Classic. Due to unprecedented interest and record entries the Magic Millions National Weanling Sale has been increased to a catalogue of 725 lots and will now be held over three days at the Gold Coast from May 22 to 24. 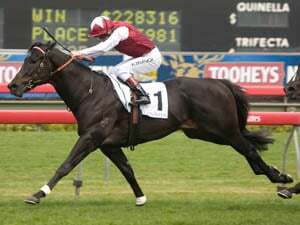 Lonhro’s high class son Denman will stand at Twin Hills Stud at Cootamundra in southern NSW for the 2019 season. Share your views on this race with others. JRat: Racing and Sports unique jockey rating. The range is 0 - 5 with 2.5 being an average value and 5 being the highest. The rating is calculated from each riders statistics and includes overall strike rate plus distance, course, Metropolitan, Provincial or Country performance and favourites strike rate. A H after a rating means the jockey is riding hot at a rate exceeding his 12 month bench mark. TRat: Racing and Sports unique trainer rating. The range is 0 - 5 with 2.5 being an average value and 5 being the highest. The rating is calculated from each trainers statistics and includes overall strike rate plus distance, course, Metropolitan, Provincial or Country performances and favourites strike rate. A H after a rating means the trainer is performing hot at a rate exceeding his 12 month bench mark. [o] - Ongoing Winners - A list of horses who have race from this race in the following 30 days of the race and the Wins/Places and Starts they have records. Click on the [o] to see these runs. Est: Computer generated Predictive Final Rating based along the lines of Don Scott methods. 50d: Last 50 days rating. 12m: Twelve Month High Rating (adjusted for the weight to be carried today and includes any weight for age improvement up until today抯 run) RT GF: Best Rating on good to fast ground (adjusted for the weight to be carried today and includes any weight for age improvement up until today抯 run) RT D: Best Rating on dead ground (adjusted for the weight to be carried today and includes any weight for age improvement up until today抯 run) RT SH: Best Rating on slow to heavy ground (adjusted for the weight to be carried today and includes any weight for age improvement up until today抯 run) BL3: Best of last 3 ratings. p: Provisional ratings.. The user sets the level of importance from the Preference Scale (1 to 5 or No) for each algorithm and the output weightings are listed within seconds. The Neural factor analysis will quickly identify for you just who are the main chances in each race, the highest to the lowest based on the factor weightings. BRR: Base Run Rating. Best of last three ratings (already adjusted for weight horse handicapped to carry over 50kgs) Click in icon next to BRR figure to see ratings graph coming into the race for that horse. These bonus/penalties can be changed according to each user's preferences. Cond: Condition penalty. Default values are Don Scott recommended values. Click on icon to view. User can elect to adopt any value. Cons: Consistency bonus/penalty. Default values are Don Scott values based on tables in The Winning Way. User can change. BP: Barrier Position penalties. Default values based on Don Scott Barrier Tables as per The Winning Way. Click on icon to view. User can change. JOCK: Jockey bonus or penalty based on Racing and Sports Jockey ratings. Click on icon to view. User can change. Odds: Decimal dividends (odds+1) for each runner based on Per column. Tick Box: Removes horses from your Odds line. Eg if you want only horses in your market within say 5 kilos theoretical margin of your first selection then tick all the runners outside 5kgs and recalculate the odds. Market Percentage: Set your odds market to what ever percentage you desire. Don always used between 80 and 90% percent. Just select the value you require and click save. Rating for jockey this start compared to last. Inofrmation displayed is the trainer, training location and distance (approximate) the trainer had to travel to this track. Course and distance record, horse jockey combination. All Stats are self explanatory and show totals for win, place and race starts. Horse stats on distance and track condition. Statistics shown are for the Jockey, Trainer and Sire for their last 50 rides/starts and last 350 rides starts. Use the button above to toggle between runs/starts and win/pace percentages. 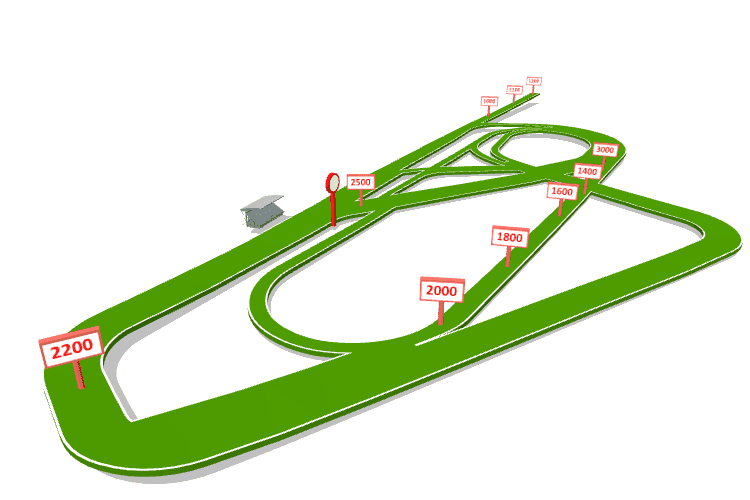 Statistics shown are for the jockey for the Horse, Jockey, Trainer at this particular course. Use the button above to toggle between runs/starts and win/pace percentages.